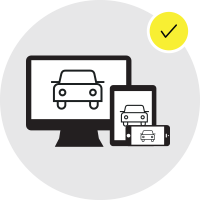 Getting started with Hertz 24/7 is easy. 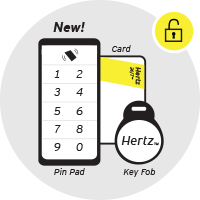 All you need to do is create a profile and receive your personal key fob that gives you keyless access to our Hertz 24/7 vehicles. With your key fob in hand it’s as easy as Book. Swipe. Go. 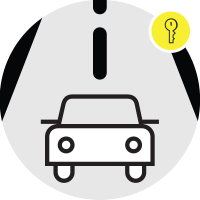 GO - The ignition key is located near the steering wheel. Start the car & drive! Complete the on-line enrolment form to register. Make a booking on-line, over the phone or by using the Hertz 24/7 app. You’ll receive a booking confirmation and vehicle access code by SMS and/or email moments before the start of your rental. Simply enter your access code into the reader behind the windscreen to unlock the vehicle and go.